If you love Chipotle and you are always looking for creative recipes to use it, you will love this recipe! Here I show you how to prepare a delicious chicken with chipotle cream but … without cream! A little secret that helps you prepare your favorite dishes in a light version. With mushrooms to give you more flavor, a very easy and quick recipe that you will love. Chipotle is one of the most used ingredients in Mexican food, and also one of my FAVORITE type of chiles! 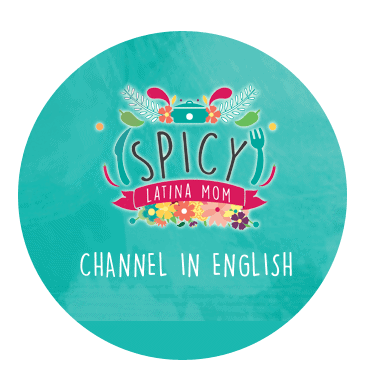 as you can notice for the name of my blog I love Spicy food and Chipotle is one of the stars on my kitchen. Chipotle ccome from a variety named “Chile Morita”, once this chile is dry and shrinked it changes its color and flavor and that is how it becomes Chipotle. In Mexico they sell it in any store in the area of condiments, or also canned (which is the most common). The taste that this chicken takes is delicious, my secret to making it healthy; natural yogurt and a lot of tomatoe sauce. If you have already seen other of my recipes you will know that I use it to replace the cream, it is much healthier, without fat and the taste is incredible. NOTE: Use the PLAIN Non-fat Yogurt, the vast majority of natural yogurt contain sugar, so look at the ingredients. Chipotle chili is quite spicy, so use it sparingly especially if you have kids. I added mushrooms because they are a great source of fiber, vitamin D, are anti-cancerous and contain protein! So try to integrate them into your daily diet. TOAST THE TOMATOES IN A COMAL, YOU CAN ALSO BOIL THEM IF YOU WISH. STRAIN THE SAUCE AND PUT TO BOIL. SEPARATE A LITTLE OF THE SAUCE AND LET IT BE COOLED. ADD YOGURT AND THE SAUCE WHICH WE COOL AND MIX QUICKLY. 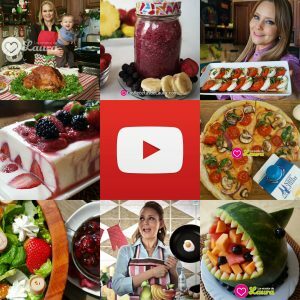 Show me how your recipe came out on Instagram with #SpicyLatinaMom and don´t forget to subscribe to my Youtube Channel and social media for everyday inspiration and more delicious recipes. I love to read your comments! Please leave your comments below and share this recipe with your friends.